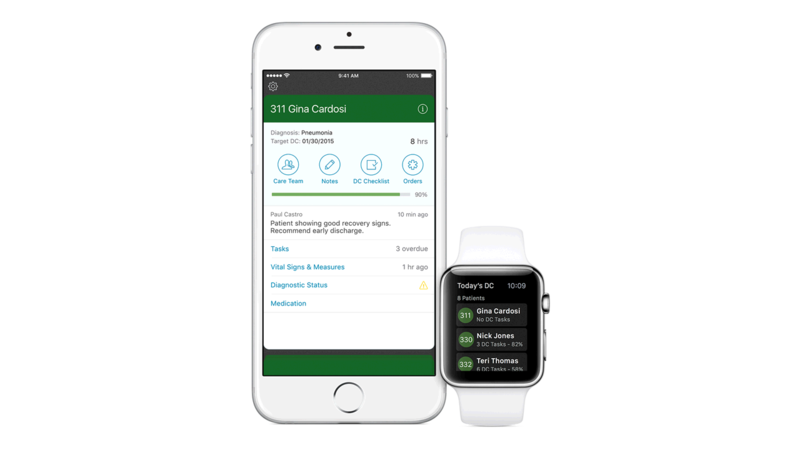 IBM MobileFirst for iOS Hospital MD provides doctors with an integrated view of daily tasks, clinical appointments, and urgent alerts with comprehensive patient information and historical data. Doctors can use Hospital MD to view diagnostic changes over time, access demographics and care plans, and send orders from anywhere using an iPhone, iPad or Apple Watch. In-depth patient care information available within a daily agenda enables doctors to send updates and discharge orders fast, speeding beneficial care when and where it’s needed. Upon entering a patient’s room, their complete medical record is displayed in a patient card with no time wasted looking for specific and vital data. Physicians can see comprehensive electronic medical records, including care team contacts, notes, diagnostics, clinical status and medications. HIPAA compliant access provides a safe environment for analyzing patient data to inform decisions, such as diagnoses and care plans without violating privacy. Receive real-time alerts and notifications, drill down to view key data, send orders and complete discharge tasks from just about anywhere on Apple devices.